This spacious 400 m2 house with beautiful views is located between the two villages of Caimari and Selva, both villages can be reached on foot. Villa Son Maguet offers 6 large bedrooms and 4 bathrooms, one of which is located near the swimming pool. There is a large swimming pool of 12 x 4 meters with panoramic views of the surround hills and mountains. 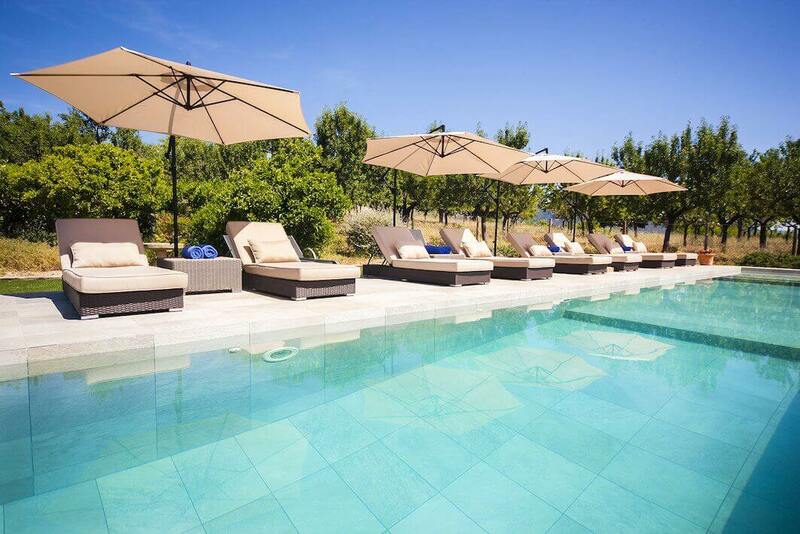 Around the swimming pool is a paved area with 10 sun beds and 2 umbrellas. There is also a small viewpoint, again with spectacular views. Only 1 KM away from the picturesque village Caimari. The house is build on one level, meaning that all bedrooms are located on the ground floor. There are in total 6 bedrooms, there are two twin rooms that share a bathroom with shower. There are two double rooms that share a bathroom with bath tub and separate shower and the last two bedrooms both have single beds and these rooms share a bathroom with shower. All rooms are equipped with air conditioning. For smaller guests we can arrange a cot and high chair. Next to the fully equipped kitchen with small breakfast table there is a covered porch with a large dining table that seats up to 12 persons. There is also an outdoor kitchen with sink and a barbecue to enjoy long warm summer evenings drinking wine and cooking a lovely dinner. The house is surrounded by a lawn area which allows children to play without leaving them out of your sight. The lounge area of the house is a wonderful spacious area with 3 large sofas and 4 arm chairs, SAT-TV, airconditioning and there is a dining table to dine with 8 persons. Next to the kitchen is the laundry room with a washing machine, iron and iron board. The plot is fenced with an electric gate and very private. For the colder winter months there is central heating available. 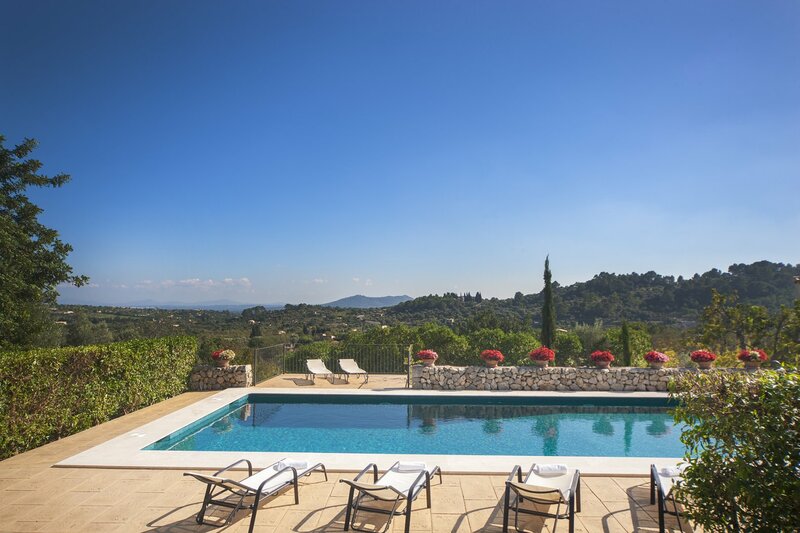 The villa is an ideal starting point for cyclists or guests that would like to discover the beautiful hiking routes through the Tramuntana mountain range. Caimari and Selva are two authentic spanish villages with markets on Monday and Wednesday. There are some really good restaurants like Miceli in Selva and Ca Na Toneta in Caimari. In addition the town of Inca is only 8 KM away with many supermarkets, shops and restaurants. The beaches in the North can be reached in 30 KM.